Need Answers About Your Sleep?Take Our Survey Today! Let The Experts At The Snore Shop Help! In some cases, snoring, SDB or OSA is positional. In other words, the obstructive events only occur while sleeping supine (on the back). 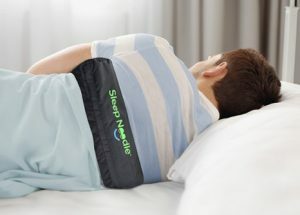 The Sleep Noodle sleep positioning belt is exactly what it sounds like. It consists of a neoprene belt with a small bumper in the back, which prevents a person from rolling onto their back in their sleep. It has been found to be extremely effective at keeping people on their sides or their bellies. 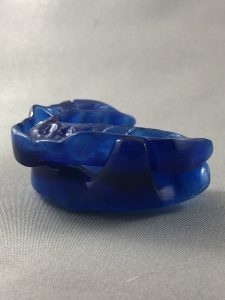 The Snore Shop Oral Appliance is a custom-fitted dental sleep appliance fabricated for the treatment of obstructive sleep apnea and/or snoring. The appliance fits comfortably over your teeth while holding your lower jaw forward during sleep. This forward position helps to keep your airway continuously open. The appliance can also be used as a “backup” to CPAP therapy. Depending on the severity and nature of your OSA, you may be able to use the appliance as a secondary treatment option for periods of time when CPAP use isn’t possible, ie: camping, overnight flights, loss of power, etc.